The Wexford Food Family, the not for profit network of food producers established in 2011 to promote Wexford as a food brand locally, nationally and internationally, is delighted to announce the fourth annual Wexford Food Summit. The event will run from 08:30 til 12:30pm and be followed by a showcase buffet lunch featuring foods from the members of the Wexford Food Family, specially developed by renowned chef Emmet Maher. Presentations will be followed by a panel discussion including speakers, Tom Banville of the Wexford Local Enterprise Office and Neil Murphy of Glanbia. This event will be extremely useful to anyone involved in the food business or thinking about starting up a food business. 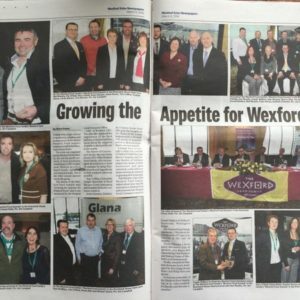 There will be a presentation made to the Wexford Food Champion 2017 at the event and an overview of the Wexford Food Family 2020 Wexford Food Focus strategy document will be presented. To reserve your place, please email paula@wexfordfoodfamily.com . Tickets to the event are €49 each for non-members and €39 for members of the Wexford Food Family. See www.wexfordfoodfamily.com for more information. 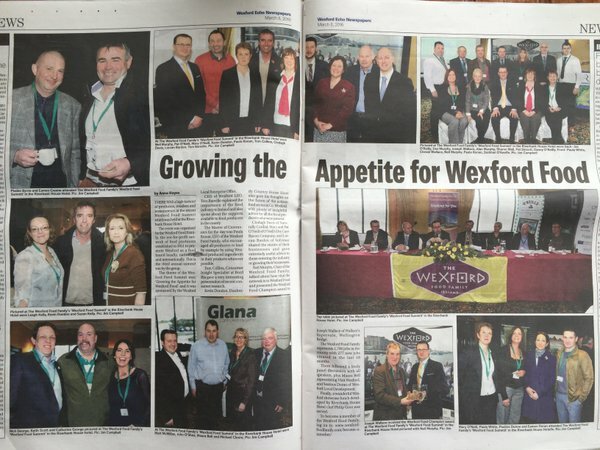 The Wexford Food Summit is kindly sponsored by the Wexford Local Enterprise Office and Wexford County Council.